for the first 24 months with a 2-yr agreement. Xfinity's X1 DVR (Digital Video Recorder) allows you to record your favorite shows and view them anywhere, even on the go offline. You can record up to 6 shows simultaneously and have 500GB of cloud storage space, so you never have to worry about running out of space. Xfinity's On Demand service allows you to watch select programming at any time, regardless of if you have previously recorded it. You can view this On Demand programming from your television, laptop, tablet, and smartphone. Xfinity allows you to turn your favorite smart device into a virtual TV screen with their new streaming application. Xfinity Stream allows you to watch your favorite live shows, sporting events, movies, and recorded content anywhere at anytime. In addition to viewing live streaming content, you can download and view any past recordings that you have made with your X1 DVR. Comcast is the largest cable TV (television) provider and home Internet provider in the United States. It was founded in 1963 by Ralph Roberts under the name American Cable Systems and in 1990 was re-incorporated under the name Comcast Corporation. As the largest cable provider in the United States, Comcast delivers multiple cable packages that allow you to bundle Internet, TV, and Home Phone. Xfinity currently serves 40 states in the US. Offering some of the fastest Internet speeds in the country, it's easy to understand why so many people choose Comcast as their Internet Service Provider. Comcast offers over 18 million hotspots across the nation for their current subscribers. Comcast is currently utilized in 27.8 million homes throughout the United States. Outside of traditional bundles, Comcast now also offers home security to its customers. Despite being rated as the Worst Company in America via The Consumerist Award in 2010, the FCC's American Broadband Study unveiled that Comcast consistently delivers over 100% of their advertised speeds. * Geographic and service restrictions apply. Advertised pricing may vary by location. Listed pricing is based on advertised nationwide rates. Call now to speak with an authorized associate directly to verify availability and pricing. For the full terms and conditions please click here. How much is Comcast Internet only per month? Depending on your speed, Xfinity offers internet plans that range from $29.99/mo to $299.95/mo. Xfinity offers TV packages that range from $24.99/month to $124.99/mo. You can also get bundled Double Play and Triple Play bundles, which range from $94.99/mo to $174.99/mo. What is the speed of Comcast Internet? Comcast offers a wide range of internet plans to support everyone's needs. They offer cable plans to support speeds ranging from 10 Mbps to 300 Mbps and Fiber Plans with speeds that can reach 1Gbps and 2Gbps. What kind of Internet service is Xfinity? Xfinity offers both Cable and Fiber Internet connections. Most users will find that a cable connection provides plenty of speed for average usage, but some users may benefit from a Fiber connection. Users that fall into this category are those, who heavily game, stream, and work with large files from home. How much data do I get with Comcast? Most Comcast internet plans provide customers with 1 terabyte of data. For a customer to exceed this data cap, they would have to watch Netflix in excess of five hours each day. If you do go over the 1 terabyte cap in a given month 50Gb of additional data will be billed to your account at a rate of $10 per 50Gb block. This overage fee will not exceed $200 dollars in a given month though. For users that frequently go over the data cap there is an Unlimited Data Option for an exra $50 per month. If you are concerned about your individual usage you can check your monthly usage amounts with Comcast's Usage Meter. What hardware do I need with Comcast? Comcast offers you the option to install your own service or for a fee ($60), you can have a technician perform the installation. In order to connect to Comcast internet, you will a modem, a power cord, and a coaxial cable. You can rent a modem from Comcast for a fee of $10/month or provide your own to save $120/year. If you are not connecting with WiFi, you will also need an ethernet cord. Additionally, if you choose Comcast as your cable TV provider, you will need an Xfinity set-top box, a power cord, a coax cable, and a video cable. Comcast will provide you with a remote for your cable box. Xfinity from Comcast is ranked #10 of the largest provider in the U.S., in terms of availability to customers. Xfinity from Comcast offers Internet service to approximately 112,890,629 people in 731 counties over 35 states. Xfinity offers a variety of plans, which do not require a term based agreement. There are certain promotions and deals, which do require a commitment for a duration of 12 or 24 months. Please refer to the Cable Customer Agreement for specific information regarding your plan. Comcast's internet plans have enforced data caps in some areas, but most users should not have to worry about utilizing more than 1TB of data within a given billing cycle. The penalty for a data overage is an additional charge for the amount of data, which exceeded your cap. Xfinity is available in 40 states. 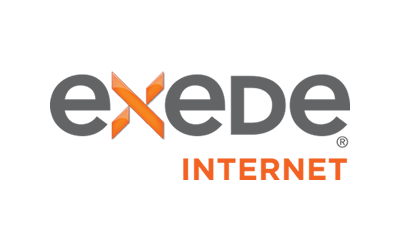 Looking for internet providers in Utah? It’s one of the most connected states, so if you live here you’ll have lots of choices when it comes to your broadband provider. We put together this guide to help make that decision easier so you can get online faster. New to Chicago? Or are you just ready to switch ISPs? BroadbandSearch lays out everything you need to know about finding and choosing between the internet providers in Chicago. Want fiber? You’re in luck! This is one of the most connected cities! Read These 6 Things Before Cutting the Cord! Are you considering getting rid of your cable provider? Read these six considerations before making the final decision.